If you're like me, right about now you're thinking, "OH CRAP, FATHER'S DAY IS THIS WEEKEND!!" So let me help you out, dear friends. 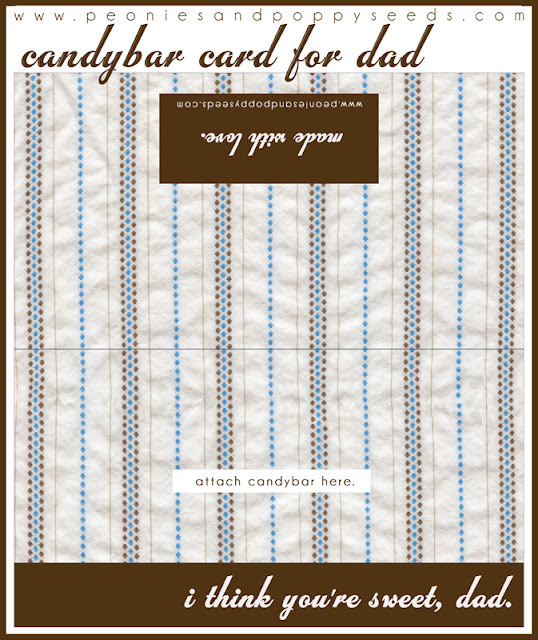 Get our free Father's Day printable, the Candybar Card for Dad. 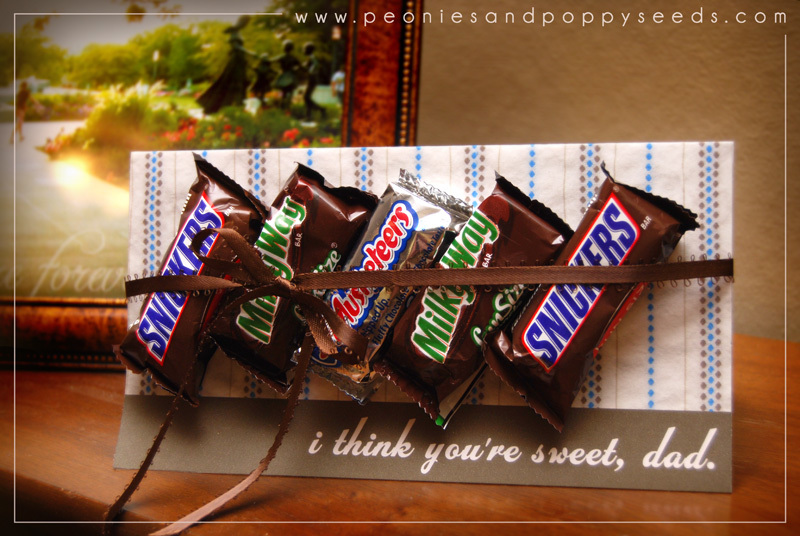 Just print it out, let your kids scribble inside, and slap a candybar on the front. Viola, Father's Day Gift. And best part, it's cheap, easy, and fast. Oh, and also, it's super heartfelt. And stuff. Just click to download and print, and have a great fatherly dayish like weekend!